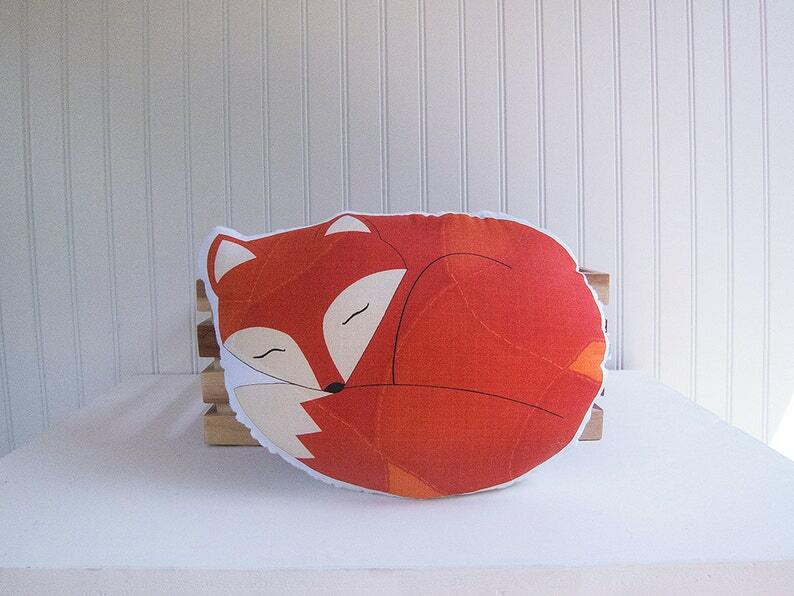 My original sleeping fox illustration is printed onto a soft organic cotton sateen fabric, using water-based dyes. Pillows are backed with a luxuriously soft minky dot fabric (polyester) and stuffed with polyester fiber. Measures approximately 12" wide and 9" tall. See last photo for dimensions. Spot clean or hand wash recommended. Machine washable in cold water on gentle cycle. Tumble dry low and remove promptly. Do not iron minky side! If you would prefer, I can also back this pillow with a "natural" colored linen fabric. Just mention it in the space provided at checkout.